These guys are not just seen on The Price Is Right. 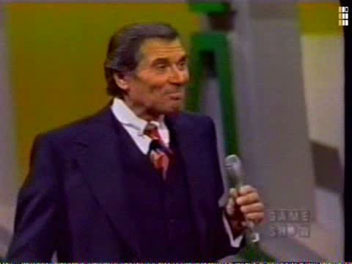 12/15/1975: Here's Bob and Dorothy Jo on Tattletales! Watch the clip! Question: Where did you propose? Bob had a hard time answering the question, but eventually said "High school." So did Dorothy Jo, but then she said, "I should have said 'In the car.'" Gene starts asking invasive questions, to which Bob replies "Gene, a really good MC knows when to move along." 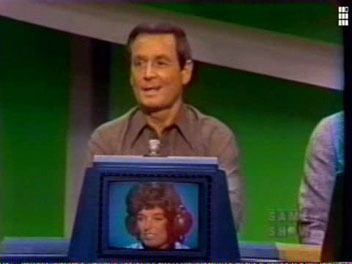 Here's Janice on Match Game '76 answering the question, "Jimmy got thrown out of the circus because he was caught blanking the fat lady." Download Rosie O'Donnell's entire interiew with Bob from 1998! Here, she tells Bob she hates "The Golf Game." Rosie boasts that the Clock Game is easy, and she can win in a snap! Download the second half of Segment 1 here! These are the prize models which Bob refers to as "Barker's Beasts!" Download the introduction of Clock Game here! How did Rosie ultimately fare in the Clock Game? Watch the finale and find out! This page was created August 8, 2000 by Mr. City.